During our vacation last week, we stopped in Bahamas . One of the things we both enjoyed with mother-in-law is shopping like a local.hehehehe. Why is it? We like to buy local things and no sales tax. As you know I'm not really a big shopper if I'm not with mother-in-law.We both enjoyed window shopping wherever we go. Arts- I love arts and things that are unique.There are pretty things out there if I really love to buy,I would want one,so far it is only for my eyes and i'm not willing to buy it. Handmade goods-it depends how much you want to spend.In Bahamas you will find top brand names from top designers and pay for less. Local crafts-I love to buy souvenirs that will remind me about my trip and of the things I like to buy is handmade accessories or wooden pieces. 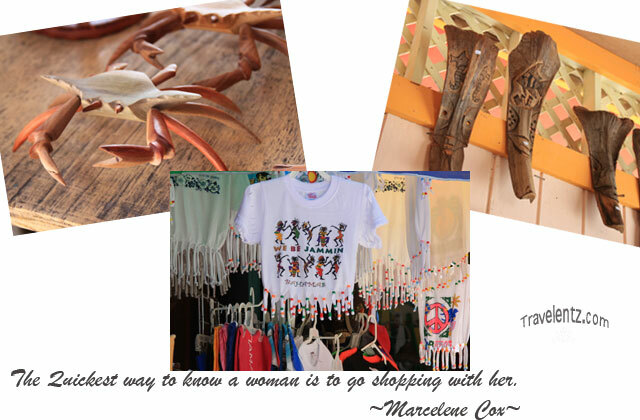 oh gee, the quote made me laugh out loud Mhie, so fun, i am not a big shopper too, I actually get bored shopping, however, this kind of shopping is fun for me since we get the chance to observe the life of the locals and also feast our eyes on a lot of crafts.